Our beliefs say far more about us than they do about our religion or so-called belief systems. Like many people, I was troubled when I heard about the recent shooting outside of a Jewish community center in Overland Park, Kansas. According to several news accounts, the perpetrator — Frazier Glenn Cross — yelled, “Heil Hitler” at onlookers as he was being carried away in a police car. Cross also has a long history of anti-Semitic behavior and has publicly declared a hatred of all Jews. While the annals of Christian history — ancient and modern — are full of accounts of violence perpetrated in the name of Christianity, my objective here is neither to defend Odinism nor to criticize Christianity. Instead, I want to highlight the socially constructed nature of beliefs and belief systems and emphasize how these socially constructed beliefs say far more about us than they do about the “gods” we claim to accept or reject. I don’t know and really don’t care if Frazier Glenn Cross was an adherent of Odinism or Christianity because at the end of the day his beliefs reveal more about him than they do about the “religion” he practices. Beliefs are social constructs. They are constructs that we as human beings have to take responsibility for rather than attributing them to “higher powers” or religions that are often used to legitimate our socially constructed beliefs and the consequences that result from those beliefs. Unlike the dogmatic and argumentative Professor Radisson in the current Christian movie God’s Not Dead, I’m making no particular claim about the existence or non-existence of God. Instead, I’m suggesting that regardless of the existence or non-existence of God, we as human beings have to take responsibility for our beliefs and recognize and acknowledge what it is that our beliefs say about us. As a professor of religion, I often encounter people who make comments, like “The Bible says X…” or “The Bible says Y…” Most of the time, however, they are rarely quoting the Bible. Instead, they are giving an interpretation (even when we quote the Bible we are still engaged in the act of interpretation). A perfect example is when people say, “The Bible says, ‘accepting Jesus as Lord and savior is the only way to heaven.’” When I ask, “Where does the Bible say this?” they often quote, John 14:6. When I respond, “that verse does not say, ‘Accepting Jesus as Lord and savior is the only way to heaven.’” They will usually ask me,“what does it say then?” I typically respond, “it says, ‘Jesus said to him, “I am the way, and the truth, and the life. No one comes to the Father except through me.”’” They will then often respond, “Okay, sure… but what does it mean?” It is at this point I emphasize the fact that we are now engaging in the process of “Constructing” meaning. The earliest followers of Jesus were identified as people of “the Way” (Acts 9:1-2; 18:25-26; 19:9, 23; 22:4; 24:14, 22). Before it was identified as “Christianity,” the Jesus movement was identified as “the Way.” “The Way” represented a “way of being,” “a way of living.” The earliest followers of Jesus were identified as people of “the Way” because of their way of living. I’m sure there are many who will disagree with my socially constructed meaning of John 14:6, but their rejection of my socially constructed meaning is not because they are accepting the one true meaning of the verse; rather it is because they are accepting a different socially constructed meaning. The question is, what does the acceptance of their socially constructed meaning say about them and their beliefs? Ultimately, every socially constructed meaning we embrace says something about us. I’m sure my socially constructed meaning of John 14:6 says that I have a tendency to promote and embrace inclusion far more than exclusion, and I’m okay with that. Why is it important for there to be only ONE CORRECT religion (or belief)? And why does that one correct religion (or belief) have to be mine? What does it say about the kind of person that I am when everyone in the world has to be “converted” to my way of thinking in order to be welcomed and accepted by God? I’m fine with people having different beliefs, as long as we are willing to acknowledge that the beliefs we embrace are socially constructed, and we are willing to take responsibility for the implications and results often associated with our beliefs and socially constructed meanings. While leaders and adherents of religions should critically reflect on the beliefs their religions promote, at the end of the day it doesn’t really matter if Frazier Glenn Cross was an adherent of Christianity or Odinism. If the beliefs we embrace oppress, marginalize, or diminish people (all of which are acts of violence), we have to be willing to take responsibility for that and not blame certain acts of violence that may result from our beliefs on fanatics, God, the Bible, Christianity, Odinism, or any other socially constructed belief system. If our beliefs contribute to or result in violence, we may need to reconsider our beliefs. 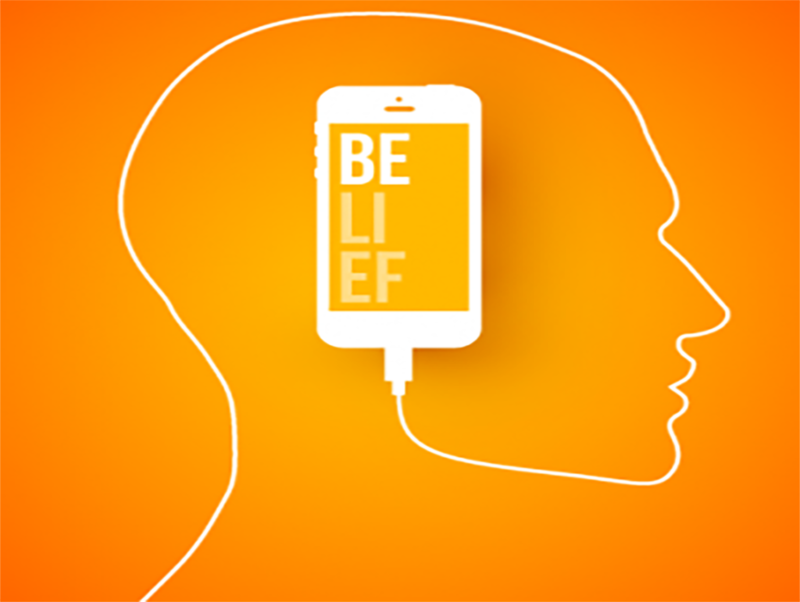 What do your beliefs say about you?